Conveniently located in the heart of Jersey City, Liberty Physical Therapy is a state-of-the-art and largest outpatient Physical Therapy facility in Jersey City offering Orthopedic, Spine, Sports, Women’s Health & Pediatric Physical Therapy. Trupti Sadalge graduated from the prestigious New York University with Masters in Physical Therapy in 2009. She brings extensive experience in variety of orthopedic and sports injuries, in particular Post-op rehabilitation after Shoulder, Knee and Ankle surgeries. She is especially interested in Knee ACL Rehabilitation and Shoulder Rotator Cuff Repair Rehabilitation. She also has experience in pediatrics and is comfortable treating children of all ages along with adults. Trupti continued her commitment to education and completed her Masters in Business Administration from Goldey-Beacom College, Delaware. Trupti is an independent clinician with a caring heart and true dedication towards her patient’s recovery. She is also Certified in McKenzie® Technique for Lower Back & Neck rehabilitation and Graston® Technique, which is a cutting edge method to treat soft tissue injuries. She is a Certified Yoga Instructor and is also pursuing her training in Maitland and Pelvic Floor. Dr. Chitra Mittal has an extensive career in providing physical therapy around the globe. She obtained her Masters of Health Science in 2004 at the University of Indianapolis with a concentration in Orthopedics. She then went on to share her knowledge with physical therapy students as a Teaching Assistant at the Harvard University. To date, Ms. Mittal’s most rewarding experience has been treating patients from several countries and from all walks of life thus affording her a truly in-depth and hands-on working knowledge of her patient needs. With her wide range of experience and highly honed set of skills, she is able to successfully transition her patients from pain into a state of well being and long term recovery. Ms. Mittal continues a passion and zeal for knowledge in her expertise by earning her designation as an Orthopedic Clinical Specialist (OCS) as well as becoming a member of the American Physical Therapy Association. She received her certification as a Certified Strength and Conditioning Specialist (CSCS) and completed training in McKenzie® Technique for effective treatment of low back & neck pain. She is also certified in treatment of Women’s Health. Kinjal Markana is a seasoned clinician with 5+ years of experience in providing Orthopedic Physical Therapy to patients and helping them recover from a variety of complex conditions. She earned the prestigious title of Orthopedic Certified Specialist (OCS) and also completed her Residency in Orthopedic Physical Therapy. She is comfortable treating patients of all ages for Orthopedic and Sports medicine PT. Kinjal is adept in providing Manual Therapy and has completed her training in Spinal and Extremity Manipulations. She is also trained in Vestibular Rehabilitation and has certification in Women’s Health Rehabilitation. 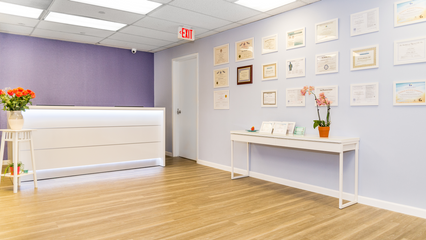 Dr. Markana has a very positive energy and aims to provide the very best care to all her patients. John Van Der Karr (Clinical Director) is an expert clinician with 30+ years of experience treating patients and a proven record of success. Over the course of his career John has gained a vast knowledge and skill level that produces positive outcomes for patients. John achieved a post professional Master’s Degree with concentration in Orthopedic and taught as adjunct faculty in a physical therapy program. John has earned the prestigious titles of Orthopedic Certified Specialist (OCS), Certified Mulligan Practitioner and a Certified Integrated Manual Therapist. He is a highly skilled therapist, meticulous in examining symptoms and passionate about helping patients. He is friendly and committed to giving his very best at all times. Dr. Cherri Worthington earned her Doctorate of Physical Therapy from top-ranked University of Delaware. While studying there, she also received a Master of Science in Anatomy & Clinical Health Sciences. During her years of clinical practice, Cherri has worked with a variety of patients with Orthopedic, Sports, Vestibular, and Neurological injuries and conditions. She has gained experience in manual therapy, and is Certified in Vestibular Rehabilitation through the American Institute of Balance. Cherri is passionate about helping patients reach their goals and to maximize their function and quality of life. Additionally, she is dedicated to providing personalized care so she can best serve her patients and community. Dr. Mike Mastropasqua earned his Doctorate of Physical Therapy from Rutgers School of Biomedical and Health Sciences in 2003. He has over 10 years of experience working in Pediatrics. He has evaluated and treated children from 3 months to 18 years old in various settings including schools, clinics, and homes. During his experience he has helped children with a variety of diagnoses and complexities. Dr. Mike enjoys working with families and children, helping them reach their maximum potential. He is truly passionate about his work and has a lively personality which makes each session enjoyable for his patients. He creatively incorporates exercises as games and fun activities to empower his patients and trains caregivers to develop confidence and independence. Dr. John T Doscher (goes by J.T.) earned his Doctorate in Physical Therapy from Franklin Pierce University. He graduated from Elon University with a BS in Biology with a focus on Health Science. J.T. has experience treating Musculoskeletal, Vestibular and Neurological conditions. He is passionate about working with pediatrics and has experience treating Torticollis, Developmental coordination disorder and Toe walking. J.T. shapes his rehab plans around evidence-based practice and treats the patient as a whole taking into consideration movement patterns and functional training. He prides himself on building a strong rapport with his patients and incorporating their interest & goals in the therapy plan. J.T. is new to the Jersey City area but looks forward to making a positive impact in the community. Loretta O’Toole graduated from University of Scranton with a BS in Physical Therapy in 1987 and has had a rewarding career for the past 30 years. Her career expanded to include pediatrics where she worked from newborn through high school children in early intervention and various school districts throughout NY and NJ. She is also a Certified Yoga Teacher. Loretta is an advanced John Barnes Myofascial Release Practitioner providing a dynamic, hands on, mind-body connection to evaluate and treat each client as a unique, whole being. Loretta’s current interests are Women’s Health and Pelvic Floor rehabilitation with emphasis on Myofascial Release. She is warm and loving with a very caring personality which facilitates the healing journey for many of her clients.